James Pfaff has a diverse 16 year career in construction and wall panel design. In 1999 he started working for a wall panel company that used a calculator, scale and the blue prints to build wall panels. An opportunity presented itself and with the knowledge gained in high school he convinced the owner that he could design wall panels using AutoCad. This turned out to be a huge success for both the company and James. In 2005 he started Pfaff Contracting & Design to build houses with his brother and took 1 year off from wall panel design. 2006 he started designing wall panels again for his former employer, while continuing to build houses with his brother. His 8 years of hands on framing, siding, roofing, and finish work has improved his skills in wall panel design. James has designed wall panels for more than 15 million Sq/Ft of residential space. Since a child, Erik has tinkered with items. Building basketball hoops, tree houses, and bicycle jumps. Fast forward to present day building of four wheelers, street rods, and homes. These days armed with CAD programs, experience, and education. For four years while attending college, Erik worked in a lumber yard managing and loading building materials. This offered critical product knowledge for a six year stent at a small construction company at the same time. Responsibilities focused on bidding and estimating, project design, advertising, and hands on building and remodel. With a Mechanical Design Degree, Erik relocated from the Mid-West back home to the Pacific Northwest. In 2004 an opportunity to design prefabricated wall panels for mid-rise buildings in the greater Seattle area arose. This allowed Erik to apply Auto CAD knowledge, hands on building experience, product knowledge, and a love for Architecture. This continued for eight years and proved to be another step that allowed formation of two businesses. Johnston Contracting Services Inc. (JCS) was created in 2003. Focus turned in 2005 to prefabricated high-end modern structures for a Seattle based firm Modern Shed. JCS designs, fabricates, and ships from 64sq ft. up to 2500sq ft. backyard studios, homes and commercial structures nationwide. JCS still operates today and is a leader in small prefab structures. Through the formation of SBC, Erik’s goal was to bring to the forefront well thought out design that would save hundreds of man hours, offer a prefabricated system that troubleshoot the common mistakes made in the construction of a mid-rise building before becoming an issue on site, and efficiency by cutting construction time by 1/3. These concepts and systems Erik believes will have an impact on all who come in contact with a project that uses SBC panels. 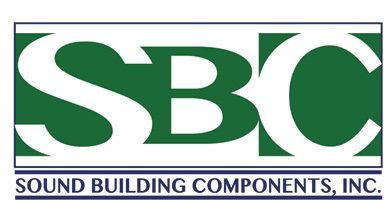 SBC continues to offer innovation in the panel building process. Not to be overshadowed by the brilliant, creative, hardworking people in key positions that make this possible. Greg found his niche in the Wall Panel Industry in 1992. His experience in production of residential and commercial building gave him the opportunity to expand his experience into pre-engineered wall components. For the last 25 years Greg has been building and shipping complete panelized homes and apartment buildings to Alaska, Japan and the Greater Seattle Area. What in today's world is the most energy efficient and cost effective Green way to build in our urban cities. His dedication to quality work, excellent managerial skills and the ability to complete projects timely and on budget is an asset to our company. He is a flexible team player who puts our company, clients, and employees first. Joining SBC in 2017. Shannon is our amazing HR Manager, and is dedicated to making Sound Building Components a safe and welcoming environment where employees are proud of the work they accomplish.